This week on Tiger Claw Radio, GOG's new profile features along with some great chiptunes. This is one you don't want to miss. Check out the podomatic page for mp3s. Always nice to see something new from BitHead1000. This one gets me right in the cereal bowl. Bithead continues his quest for the complete NES collection with a few key acquisitions and more great stories of 1980's American life. Check out his channel here. I never could quite dig in with Quake II as much as I did with the original, but I always thought it was a good game. We are talking about the squeal to my favorite game in the history of video games. DWTerminator breaks down the two commercial expansions packs for Quake II, which are both available on Steam and regularly go on sale for very cheap. 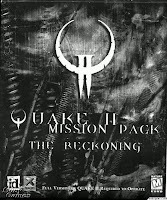 I don't necessarily agree with all of DWTerminator's points, especially that Quake II was a primarily single player experience, but It was really nice to hear someone break these two packs down who has obviously played them both through. This video is a little on the old side, originally uploaded in 2012, but this channel is still active and this video earned my subscription. Enjoy! What a time when each strip from a single webcomic warrants it's own post. However, that is the case with my all time favorite webcomic, 'SuperMegaComics'. This weeks strip.. (Weeks? Months? Years? Whatever..) This time it's THE CAT THAT EATS GHOSTS. Catch all the wonderful deep thoughts at the SuperMegaComics website. Gaming Palooza Empire unboxes three Konami games on the Atari 2600. I had never seen these before. Strategy X in particular looks interesting. Props to gPe for making continued content in the realm of Atari 2600. This weeks Talkin' Nintendo is on Double Dragon II, the middle child of the Double Dragon series. Tiger Claw Radio #231 - Nobody's Hotter Than Atari This Summer. Atari fever continues this week with TCR 231! Click here for the podomatic page where mp3s are available. Click here for hundreds of hours in the TCR archive. 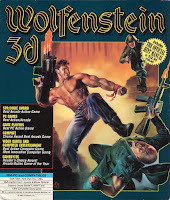 I spent the last couple mornings before work playing Wolfenstein 3d. Not the new modern games, but the old DOS game that predates DOOM. One of the interesting things about Wolfenstien is that it's just as much a game about navigating confusing maze levels as it is actually shooting things. I came across a source port called ECWolf that I was able to install into my Steam directory and rename the executable file thus tricking Steam into running it instead of the old fashioned version. This allows me to enjoy the source port experience while still having Steam count my hours. So what does the source port provide? WASD controls for one thing. I know that prior to Quake and Unreal, mouse and keyboard were not the prevalent choice for FPS controls, but now I find it impossible to go back to how it was before that. Bithead1000: TEXAS & WILD GUNS! COMPLETE NES COLLECTION! Okay this is going to be the last one today, Bithead1000 is back at it with maximum grumpy stories from way too early in the morning. Sip a coffee for that. GaminGHD has a new video up about Wolfenstein Enemy Territory. 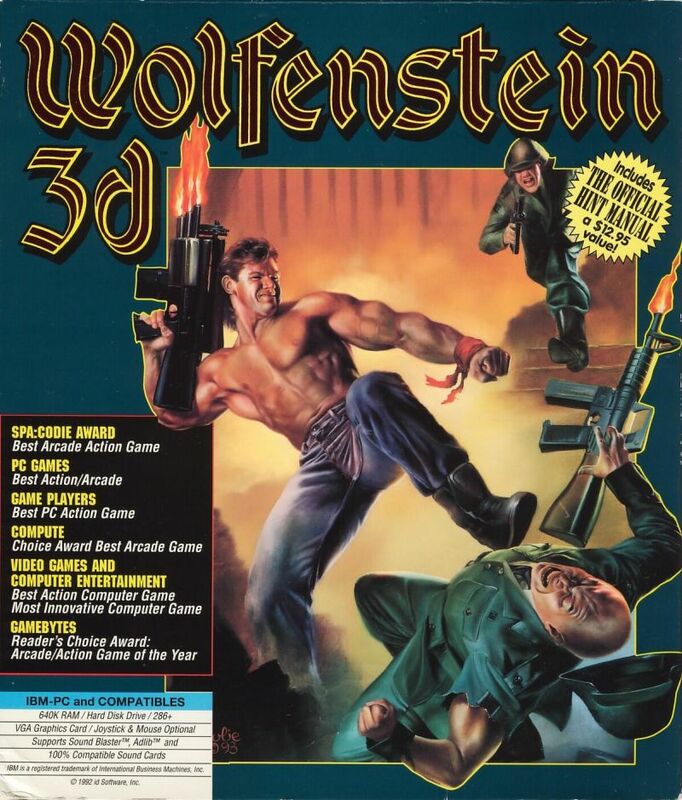 I missed out on all of the Wolfenstein releases after Wolf3d until adulthood, so I found this video really enjoyable, especially since this game is not available on Steam. This was an extra which I found on my Ultimate RPG Archives CDs. It was common in those days for publishers to put demos of thier games onto CD-ROMs, but I think this was the first time I ever remember seeing a straight up promo video. Here is is, a trailer for the up and coming 'Baldur's Gate'. My has BioWare changed. Gaming Palooza Empire takes another dip into the Atari 2600 library. This time into the dark realm of Atari Sports games with Real Sports Soccer. Sports games can be a rough thing to cover on the Atari. This video manages to save itself from that problem by making the ending all about GPE's cat. Take a look. Check out Gaming Palooza Empire's YouTube page. GGGManLives: Half-Nuked Duke Nukem Mod for Half-Life! Half-Nuked is a mod for Half-Life which replaces Gorden Freeman and his arsenal of weapons with Duke Nukem and a complete weapons overhaul. There are no new levels at this point, but I see a lot of potential with this mod. It was just recently covered by none other than GGGManLives. Take a few minutes and check out his video on the subject. Half-Nuked Mod can be found here. Gaming Palooza Empire has been putting out some really good Atari 2600 content recorded on original hardware lately. 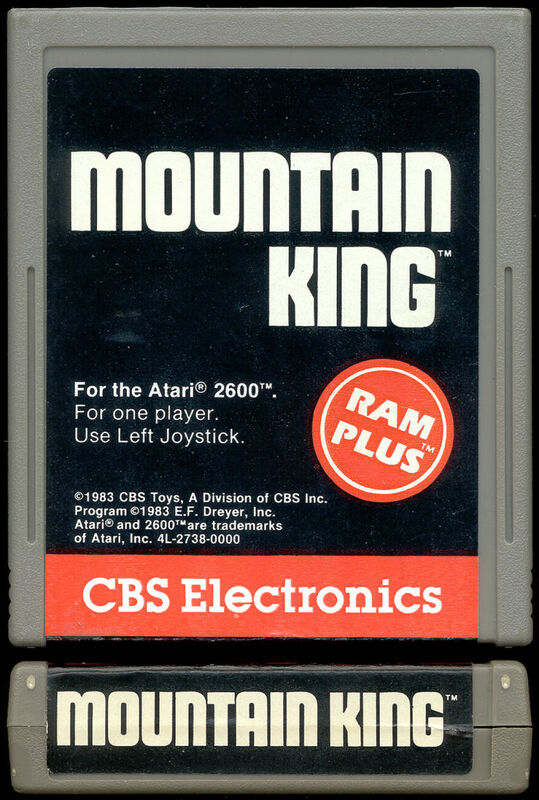 Here is Mountain King from CBS games for the Atari, recorded by hooking an Atari Jr model up to a VCR. These videos are clearly unscripted and come out very regularly. It has been a fun series to follow. Enjoy! Subscribe to Gaming Palooza Empire on their YouTube page. Heritic gets a little shine as GGGManLives goes over the Brutal Heritic mod. SuperMegaComics, a long running bizarre satirical web-comic has two new recent strips up after being dormant for a couple of years. SuperMega was a huge inspiration to me in my early years and it was great to see a couple of new strips come out of the website, even if it's probably only to help sell his new book. Tim Heidecker at his finest takes us into a world of technology at the movies. Try not to think too hard. Great Job! GaminGHD discusses Romanian gaming magazines he has collected - and written for - in this piece which remembers what was once a huge part of gaming culture. Finally found games in the wild! Xbox Pickups. I found these about two weeks ago and I couldn't have been more thrilled. My first true pickups in the wild in years, and my first pick ups (not counting Magfest) since I returned to physical game collecting. This week's Talkin Nintendo is up! This week: Desert Commander. There weren't too many turn based strategy war games on consoles during those days. This was one of them. We have a million now, but in it's day this was a rarity. Dezm101 released his review of a PAL territory clone of the original Starfox called "Space Debris" for the PS1. I really enjoy old games from around that time set in space like Colony Wars and Jupiter Strike. This was a good informative watch. GGGManLives, YouTubes foremost authority on early FPS games, covered Manhunt. I found this one intriguing since I just played Manhunt for the first time this year, but I remember all the controversy surrounding it when it came out. Enjoy!